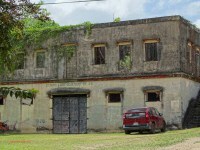 Maria was established in the Barrio San Lorenzo of Morovis by Alonso del Rio who was mayor of Morovis in 1886-1887, and later owned by his estate the Sucn. 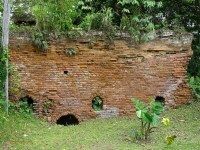 Alonso del Rio . 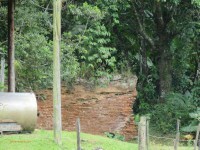 Alonso was related to the of owners of the Hacienda Del Rio located nearby in the same Barrio San Lorenzo of Morovis. 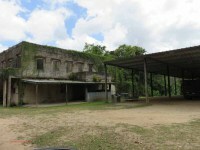 This hacienda had a small distillery where Ron del Rio was manufactured. 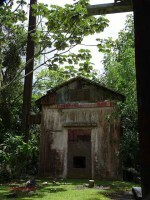 The 1920 report of the Treasurer of PR to the President of the US states that Maria was owned by Hortensia de León. 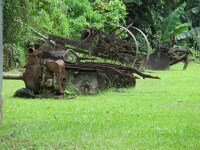 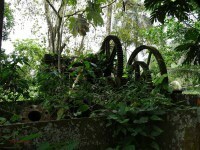 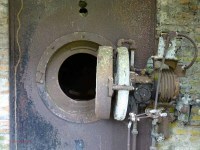 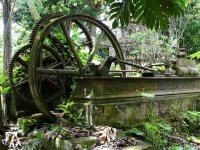 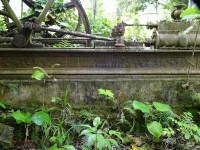 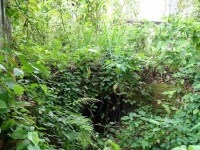 In the pictures below you can see remains of the machinery manufactured by the NY firm of Finney & Hoffman which includes the steam engine used to power the mill to squeeze the juice from the sugarcane, the boiler and boiler house, the entrance and exterior wall of the Jamaican Train underground system and the bonded warehouse building used to store rum. 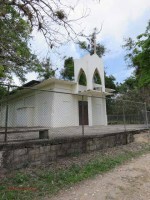 The chapel was built by the owners on lands of the hacienda.